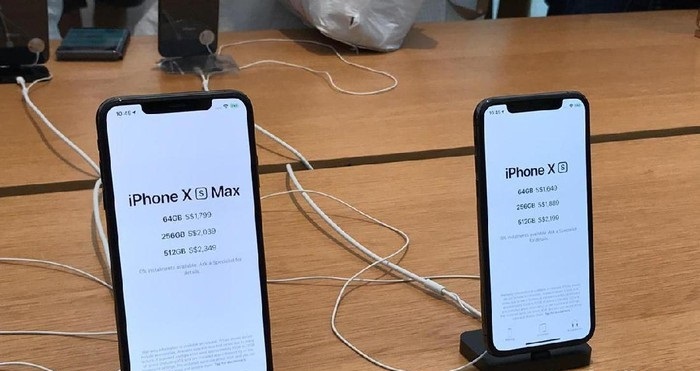 When releasing iPhone XS and iPhone XS Max, Apple revealed new features on both phones. Apparently there are also hidden features which are important. Is an reviewer from Anandtech and researchers from the National Tsing-Hua University, Taiwan who discovered these two features as quoted from updetails.com from Forbes, Monday (08/10/2018). They think Apple seems to underestimate this feature even though this has been a serious improvement on the previous iPhone. When Tsing-Hua University researchers tested the XS Max iPhone, he saw the latest OLEDs owned by the cell phone were scientifically healthier for the eyes compared to the previous version that used the LCD screen. Test results show the iPhone XS Max produces 20% Maximum Permissible Exposure (MPE) higher than the iPhone 7. MPE itself is the time before the retina will be inflamed due to screen exposure. iPhone XS Max has a MSS (Melotonin Suppression Sensitivity) score lower than 20.1% compared to the iPhone 7. MSS is basically a measure of blue light, exposures that disrupt the circadian rhythm and can actively invade virtual cells. In short, Tsing-Hua University assessed the iPhone XS Max proved to have a better screen for health. While Anandtech proved Apple's claim about the A12 Bionic chipset having a 15% faster performance than the Bionic A11 is wrong. They found the processor even 40% faster and could rival some desktop CPUs. Anandtech found the A12 has a major structural change in the CPU core and memory compression on the GPU. While the cache system has the biggest changes since it was introduced on A7. Apple's SoC is even considered to have better energy efficiency than the new Android SoC. 0 Response to "Shh... These are two hidden features of iPhone XS and XS Max"